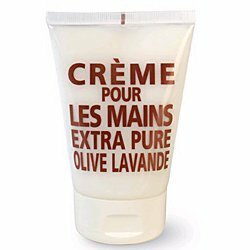 Compagnie de Provence Olive & Lavender Hand Cream is silky soft and incredibly light. Formulated with shea butter, olive oil and vitamin E, this hand cream will moisturize and nourish dry skin leaving it smooth and hydrated. Hearty notes of fresh lavender and ripe olive are accented ever so slightly with hints of rosemary, eucalyptus and citrus to form this timeless fragrance. If you have any questions about this product by Compagnie de Provence, contact us by completing and submitting the form below. If you are looking for a specif part number, please include it with your message.